We are pleased to invite you or an appropriate staff member to the Roundtable on Learning Spaces, co-sponsored by the Learning Spaces Collaboratory (LSC) and the Coalition for Networked Information (CNI). 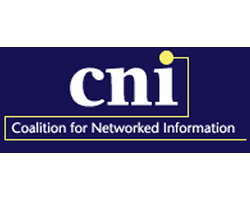 This post-CNI conference invitational Roundtable will take place at the Omni Shoreham Hotel in Washington, DC on Wednesday, December 12, 2018. The meeting will begin at 8:30 a.m and conclude at 1:00 p.m. Information about the LSC and LSC Roundtables can be found on the LSC website. CNI members receive complimentary registration. As with all LSC Roundtables, there will an intentional mix of academics and architects (~ 20 people). Also, as with all LSC Roundtables 2.0, there will an intentional purpose of the gathering. This LSC/CNI roundtable is designed as a resource for the LSC emerging Assessment Initiative (AI); participants will be challenged to identify key characteristics of spaces that are becoming the kaleidoscope of spaces in 21st century academic libraries: learning commons, digital scholarship labs, media labs, makerspaces, visualization or virtual reality studios, etc. The value of this conversation will be to set the stage for post-occupancy of these particular spaces, a valuable contribution to the LSC Assessment Initiative. We will begin with an Introduction by Jeanne Narum, with background information about the LSC. Joan Lippincott will give a brief overview of library space assessment—both needs assessment and post-occupancy. The five participating architects will present stories from the experiences with planning spaces and with the assessment of spaces—with particular attention to the kind of spaces within contemporary libraries. Following group discussions, participants will assemble into working groups to focus on a particular spatial type. The final discussion will include team reports and suggestions for shaping a report for the CNI and for the LSC AI Think Tank. Please let Joan Lippincott (Joan@cni.org) know by November 2 whether you can join us. Be in touch if you have questions. If you are not registered for the full CNI meeting on December 10-11 at the same hotel, you are also invited to attend the meeting as an additional representative from your institution. Please let me know if you’d like me to send you registration information.